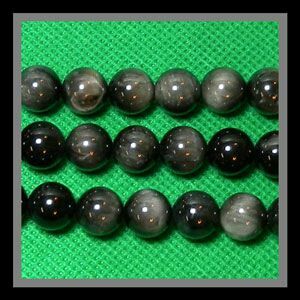 Hawk's eye is blue tiger's eye, but it isn't very blue and not overly tiger's eye. Temporarily strung (claspless). There are about 38 beads on a 10mm strand. Combine all single bead strands on beading.com to get the pricebreaks.